It can be argued that making your mark on a place is what makes a house a home, but for renters that can mean toeing a fine line. What you can and can't change in a rental will ultimately come down to the terms of your lease (and your landlord's congeniality), but there are still a few general guidelines that every renter should know. Here's the most important one: remember to get permission from your landlord before making any changes (and limit yourself to those that can be easily undone). Benefit from our sage advice and avoid making potentially costly mistakes, check out these five things that you can change in a rental, and five things that you shouldn't touch. If your landlord gives you the go-ahead to paint the walls, have at it. Most rentals have white walls that basically stand out like a blank canvas begging for the expertise of your artistic eye. A bold choice of paint color (or colors) is an easy way to make a rental feel uniquely yours. And since it isn't technically yours, don't hold back: now's your chance to go for that accent wall (or mural) that you've always wanted. 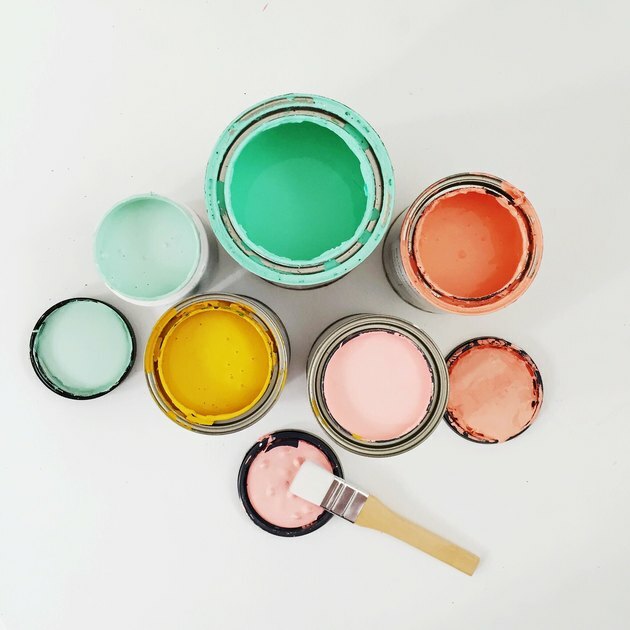 Take a look at some of this year's color trends for inspiration. Don't touch the plumbing in a rental. Whether in your kitchen or your bathroom, if there are pipes involved, leave them alone. The singular exception to this rule is the shower head, which you can swap out, as long as you replace the original when your lease ends. 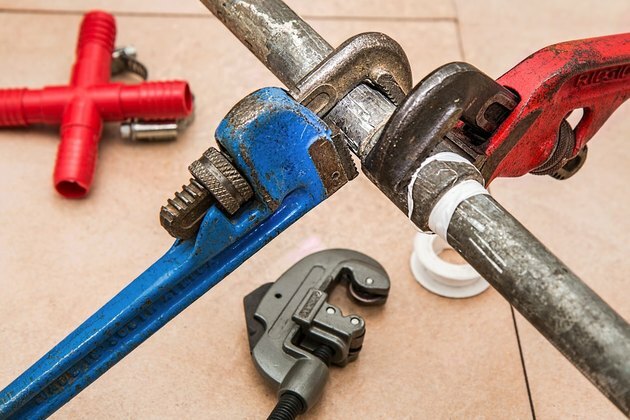 Occasionally, you might find a landlord who's willing to let you put in a new faucet (as long as you foot the bill, of course), but the vast majority will tell you flat out to keep your paws off of the plumbing. It may seem like a small change, but you'd be surprised at how far swapping out old hardware for ones that you've picked out yourself goes towards personalizing a rental. You can change basic fixtures like drawer pulls, cabinet handles, and door knobs in rentals provided that you hold on to the originals and put them back before you move out. 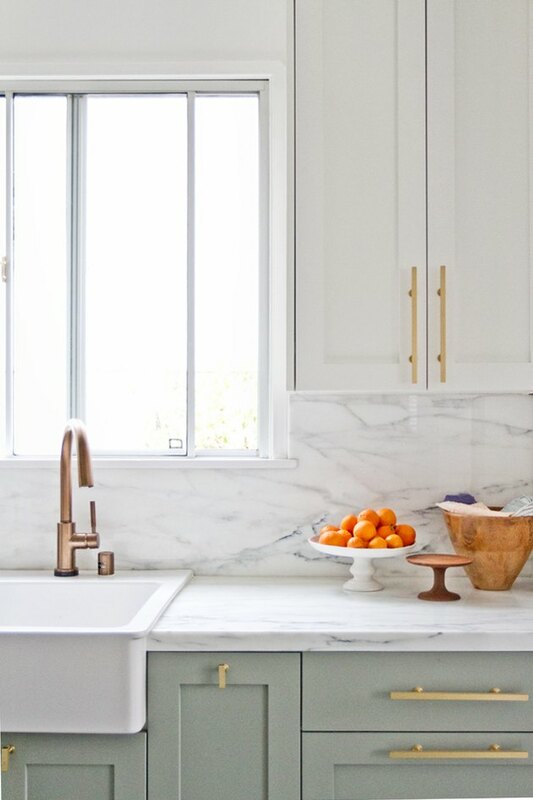 Track down some glass door knobs for a vintage vibe, or brighten up your kitchen with brass pulls on your cabinet doors. In rentals and in life, leave all matters electrical to the professionals. 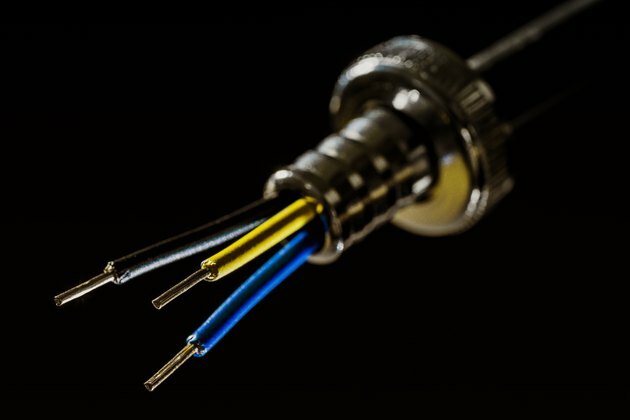 Save yourself headaches, money, and possible electrocution, and don't touch the wiring in your rental. If you notice any problems with the electricity in a rental, have the landlord call an electrician. Even if you're an electrical engineer, you should never touch the wiring in a rental. You can't rip out an ugly backsplash or countertop in your rental, but you can cover it up. 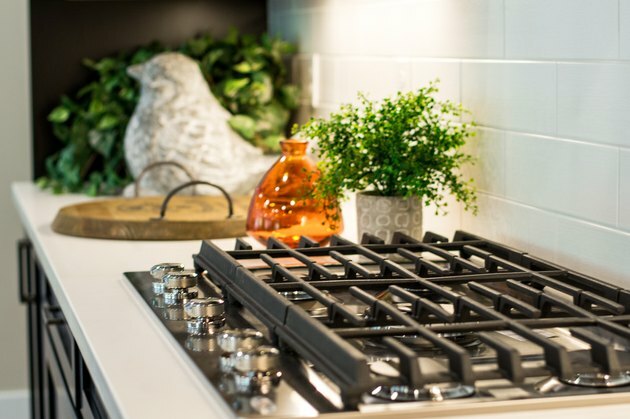 Non-invasive changes to kitchen backsplashes and countertops are usually fair game in a rental. Whether you're using contact paper, vinyl decals or adhesive tiling, carefully review the instructions first, and make sure that your DIY project can be removed without damaging the original surface. 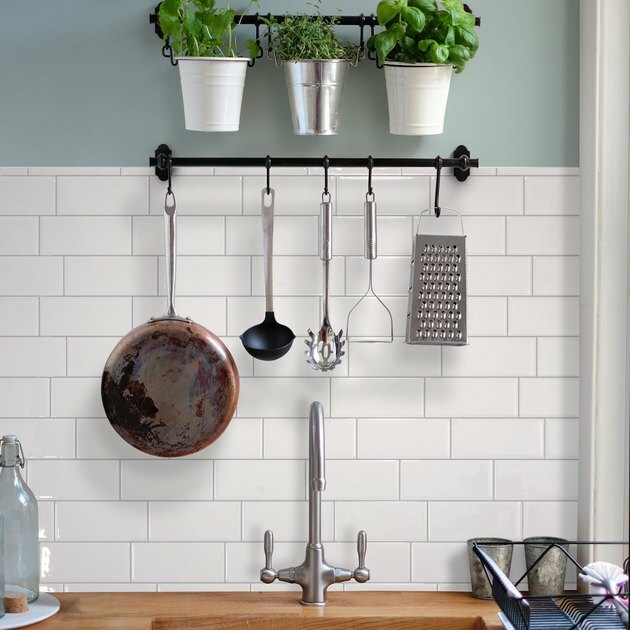 However, if your DIY project looks as good as this self-adhesive subway tile backsplash by The Smart Tiles, your landlord may not want you to remove it when you move out. Unless they're damaged or faulty, you can't make changes to major appliances (oven, refrigerator etc.) in a rental; and if there are changes to be made, your landlord will most likely be the one to make them. 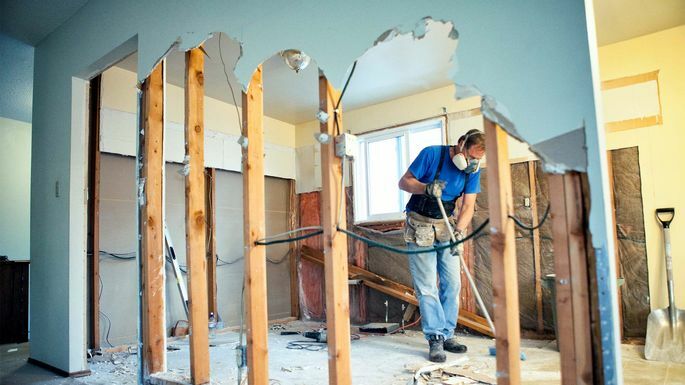 And this doesn't mean that you can take a sledgehammer to the hideous stovetop in your rental and get your landlord to buy you a new one — anything you damage, you pay for. 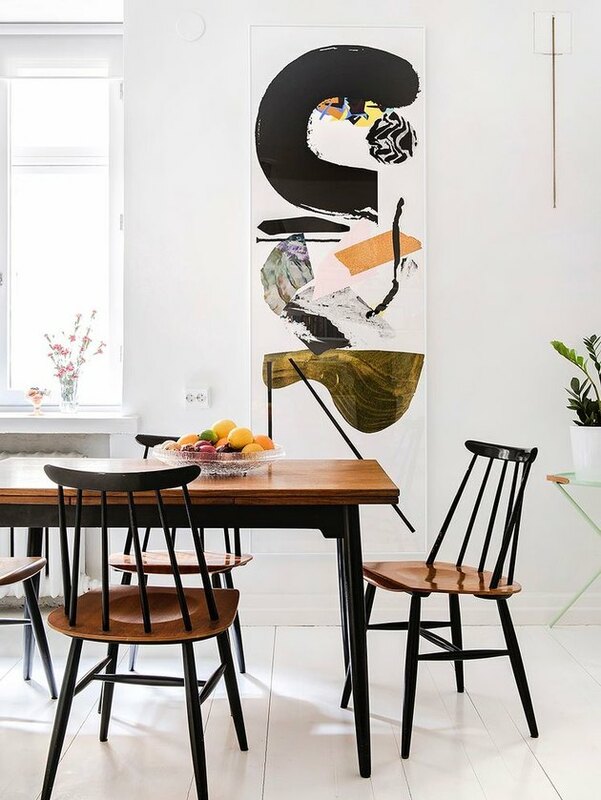 Chat with your landlord about the specific wall-hanging methods that you can use in your rental, and if you're allowed to hang some shelves. Rentals are almost always short on storage space, and unused wall space creates an ideal opportunity. Simultaneously, you'll free up a little floor space by using shelving for storage. 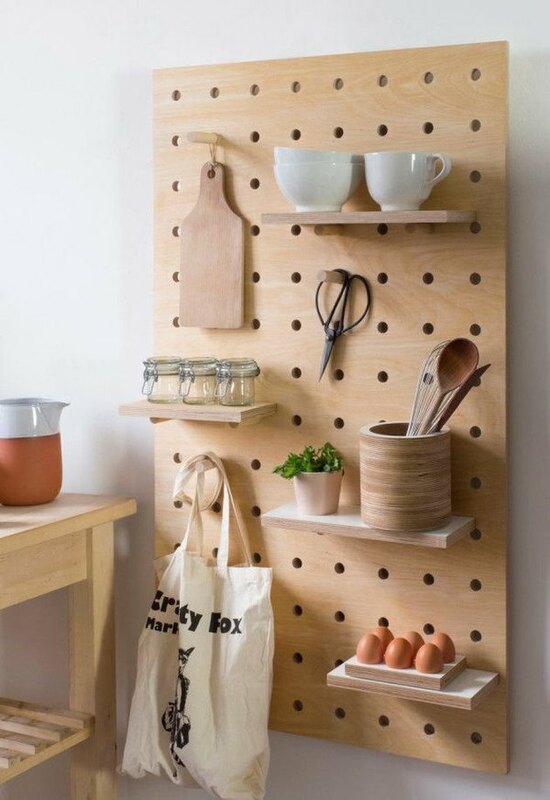 If you really want to take your rental to the next level, hang a pegboard for customizable storage options and so much more. When the time comes to move out, head to the hardware store and pick up some caulk to fill in the holes you've made. It (almost) goes without saying, but you can't change the floor plan in a rental — all of the walls must remain exactly where they are. 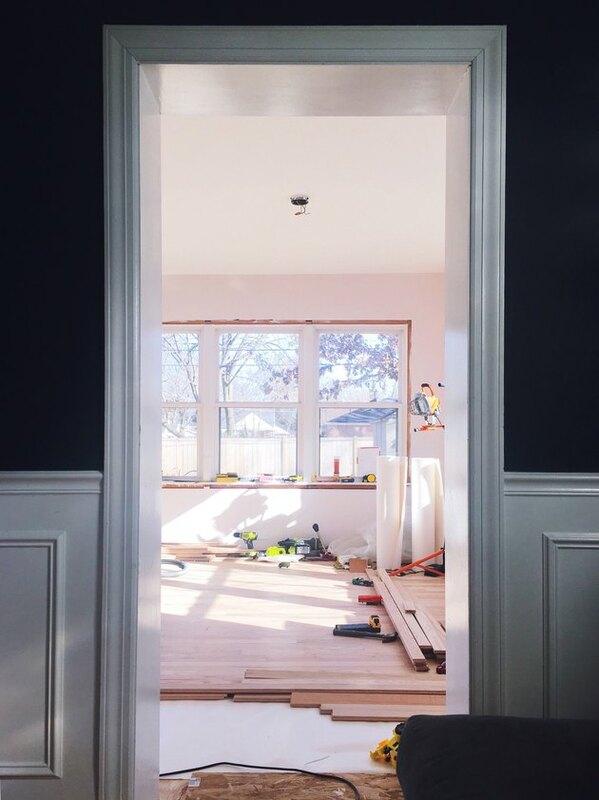 The open floor plan you've been dreaming of is going to have to wait: Never attempt to make structural changes in a rental! Non-structural changes, on the other hand, seem to be the exception to this rule. According to The New York Times, some roommates are getting their landlords to give them the go ahead to divide their rental space with temporary walls. This one comes with a disclaimer: Light fixtures are changeable in a rental as long as there's no rewiring involved. Upgrade your lampshade and shop around for new sconces, but leave the tricky stuff to the pros. Rentals are purposefully plain (to appeal to the widest audience) so most of their light fixtures are pretty boring. 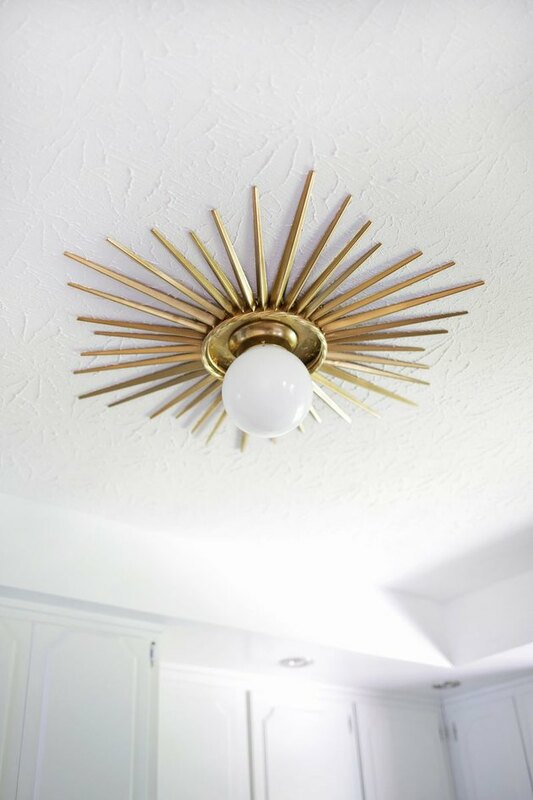 A uniquely designed light fixture can instantly add a touch of personal style to a drab rental. There's a small amount of leeway depending on the type of flooring you have, but generally speaking, renters shouldn't make any permanent changes to the floor. Updates tend to be time-consuming and labor-intensive, and most renters aren't interested in exerting that amount of money or effort into a temporary home. However, if your rental has low height flooring like linoleum or concrete, you might be able to cover them up with peel and stick tile, uber-cool felt tile, or even hardwood flooring — but definitely talk to your landlord first. If you get the okay, be sure to find out if you'll have to remove the temporary flooring before you move out. What to Do About That Gap Between the Gas Stove and the Wall in a Rental?